Carrot Nose button for Snowman Tote Bag design. Carrot nose button for Santa Snowman design. Large carrot Nose button for Flakey the Snowman and Shivers the Snowman design. Small carrot nose button for Folk Art design - Snowman Buddies , for Sam the Snowman, Mister Snowman and Shivers the Snowman designs. carrot nose button for Shivers the Snowman design. Carrot nose button and Plum Wooly fiber for Snowy Days design. 2 Carrot Nose buttons and FIZZ for Red Hat Snow-ciety design. 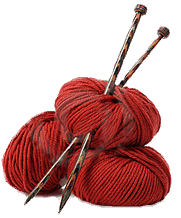 Celtic Knot charm for Celtic Knot 1 design. charm (Celtic Knot) for Celtic Maze design. 2 blue stoneware buttons for Charlene the Scarecrow design. 2 green stoneware buttons for Charlie the Scarecrow design. Cherry button for Happy days Cupcake design. Chocolate Bunny button for Harey the Bunny design. Chocolate bunny button for Eggstravagance design. Chocolate Kiss button for Kisses design. Buttons for Christmas Elf design. Includes present button, small heart and 3 small bells. 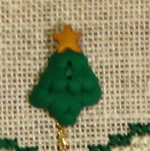 Christmas tree button for December Heartstrings design. Red balloon button for Clancy the Clown design. Dog bone button for collectible tin Paw Prints design. Frog button for Dragonfly Dance design. Easter egg button for April Heartstrings design. Egg button for Cameron the Cat - April design. Egg button for Easter Round design. Purple egg button for Hop, Hop Away design. Pink egg shell button for the All Stacked Up Easter design. Egg shell button for Easter Chick and for Flower Pot Greetings kit - Easter designs. Fire Hydrant button for Malcolm the Moose Fireman Moose. Firecracker button for July 4th Round design. 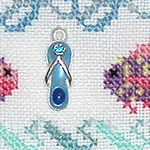 Flip flop charm for Cruising the Sea 2 design. 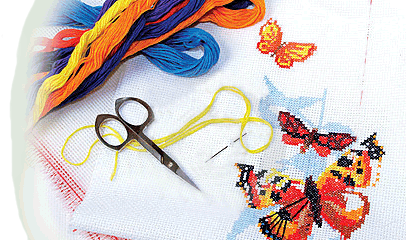 Flower bud button for Velvet Pansy design. Flower button for Maypole design. Flower button for Watering Can design.